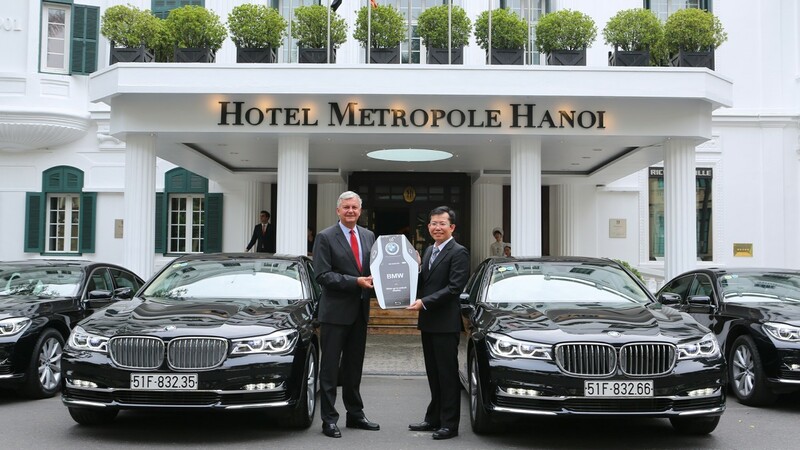 Hanoi (11 October 2016) – Sofitel Legend Metropole Hanoi received the handover of eight new BMW 730Li cars – the Luxury 2015 model sedan from the official authorized BMW importer in Vietnam – Euro Auto. Since 2010 Sofitel Legend Metropole Hanoi, the leading 5 star hotel in Hanoi, has always chosen BMW Euro Auto as their preferred luxury vehicle supplier for VIP transfers. The Sofitel Legend Metropole Hanoi choice confirms BMW’s leading market positioning for luxury vehicles. “We not only provide our customers and our partners with high quality products such as the new 7 Series model with its sophisticated design and intelligent features but Euro Auto also offers exclusive support services. Hopefully, the Metropole will feel satisfied and pleased as a result of choosing BMW. With our partnership with Sofitel Legend Metropole Hanoi – a leading hotel in the world, we are committed to bring the best products and services for VIP customer staying in Hanoi”” – Mr. Nguyen Dang Thao, General Manager of Euro Auto shared at the handover ceremony. 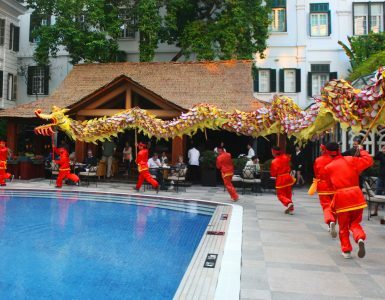 At Sofitel Legend Metropole Hanoi, customers receive luxury service and enjoy an affluent modern lifestyle. With the new BMW fleet they can experience city tours, discover ancient Hanoi with a half or full day tour to visit some of the most famous landscapes such as the One Pillar pagoda, Ho Chi Minh Mausoleum, Bat Trang or Viet Phu Thanh Chuong hand-made pottery village. Since the it’s debut in Vietnam with the philosophy redefining the future of the automobile industry, BMW 7 was, is and will continue to be a car favored by high society with super modern features and luxurious design.